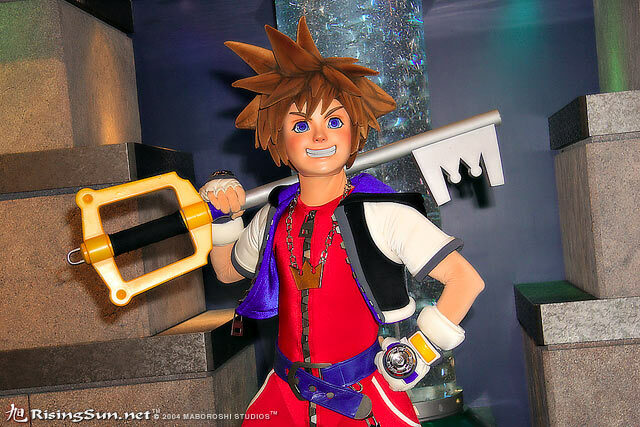 Do you ever wish there was a KH Convention? Likeï»¿ not just a con with KH stuff or one pannel or something, I mean a noï»¿ joke KH centered Con. I think that would be so awesome if once a year, KH fans from all over could converge on a single place for a day or two and meet other fans and maybe have a couple guests, lots of merch from artists in an artists alley, or maybe even like feature artists work that could be nominated and voted on by the community through out the year and the winners would get to have their stuff printed out big and displayed. Hey, have you ever been to Kupocon? Cos that's final fantasy only and I meet lots of KH fans and cosplayers there, we have our own informal meet that not everyone understands! It would be way cooler if we had our own proper convention though! Let me know if there's a kickstarter or something similar I can fund because I would pay good money for an event like this! No jokes!